By Jacob Abbott. 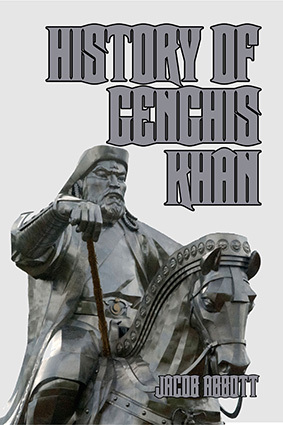 Genghis Khan, or Temujin, famous in the West for his and his descendants’ incursions into Eastern Europe, conquered far more territory and achieved greater political deeds in Asia than anywhere else. 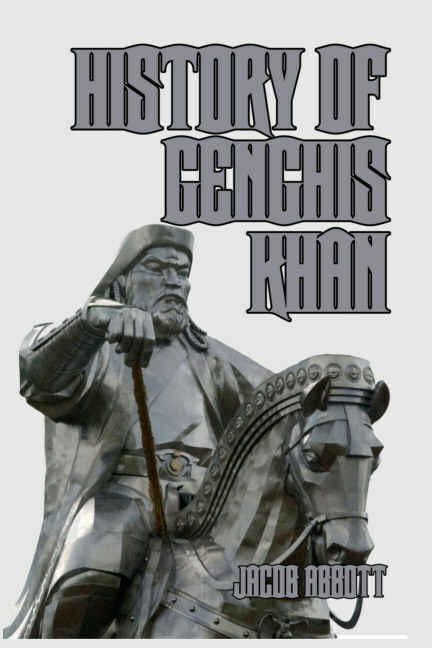 In this splendid review of the life and times of the founder and Great Khan (emperor) of the Mongol Empire, master storyteller Jacob Abbott once again succeeds in retelling history in a breathtaking format which will take the reader on a broad sweep of a historical process which ultimately had a major impact upon faraway Europe as well. Starting with an overview of the pastoral lifestyle which characterized the nomadic Mongol people of the twelfth century, Temujin’s early life, his close family intrigues and his inevitable rise to power through his forceful will and natural leadership abilities, the author provides a complete backdrop to the process which led to the creation of one of the largest contiguous land empires of all time. From the unification of the quarrelsome Mongol tribes and their brutal tactics of war, to the overrunning of the Great Wall of China and the invasions of the lands of the Ottoman Empire, the story follows Temujin’s adventures, with the author carefully distinguishing between what is probable reality and likely myth in order to provide a highly satisfying—and exciting—adventure story of one of the towering characters of world history.